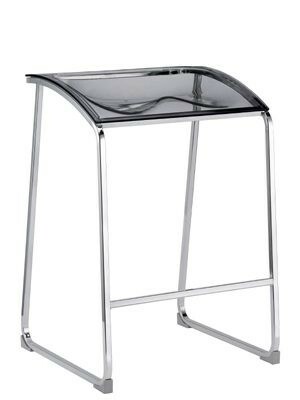 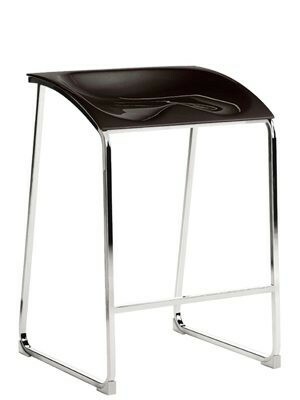 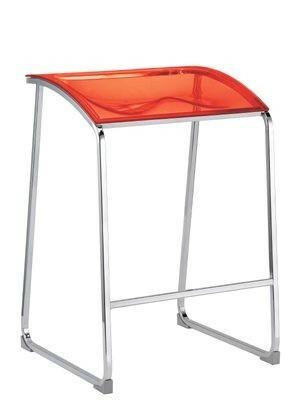 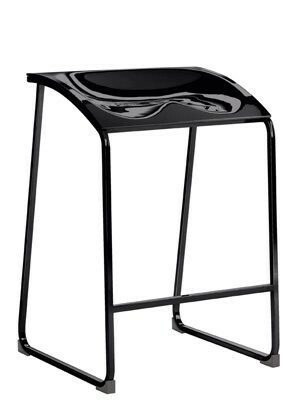 Steel stool available in Transparent Grey, Orange, Red and Clear colours with Chome Frame. 650mm in height. 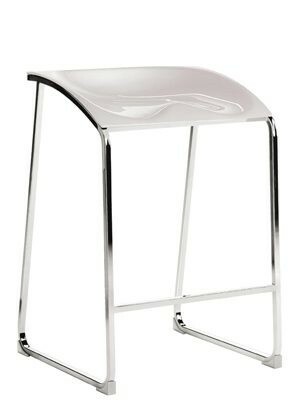 Black and White seats are also available available with a chrome frame or a matching colour frame. 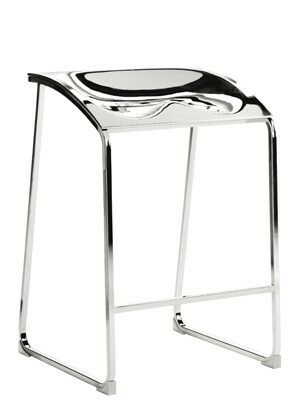 A metallic silver is also available for €175.00.